People with letterpress experience can purchase a Studio Pass and will have access to our quality type, presses and photopolymer equipment. No more than two persons at a time. Presses available: a Vandercook Universal I, a Korrex Hannover and a Korrex Stuttgart. Thomas Gravemaker (typographer/letterpress printer and founder of LA) will be there to advise and guide you. Thank you & Stay Tuned. 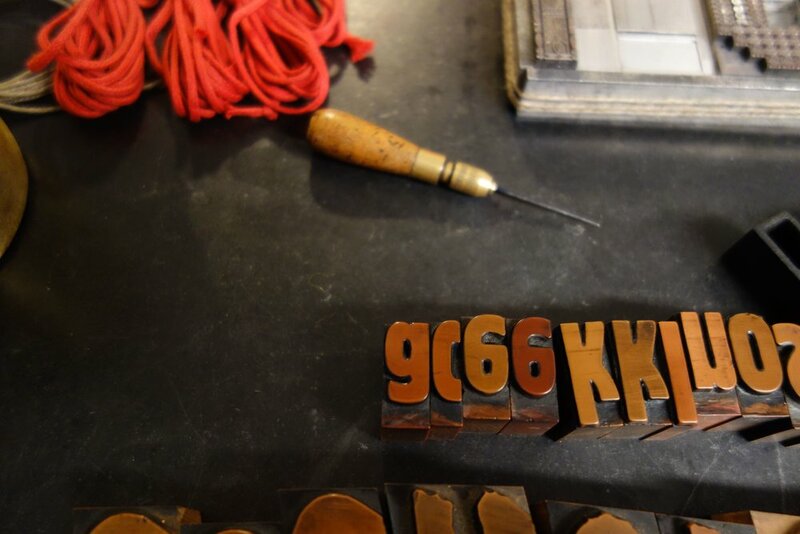 Use your hands, work with metal and wood type, composing sticks, paper, ink and tools. Come to strengthen your skills in a particular technique, explore creating polymer plates, working with Kaba, or even book binding techniques! Workshop time dedicated to wherever you'd like to take your letterpress knowledge.